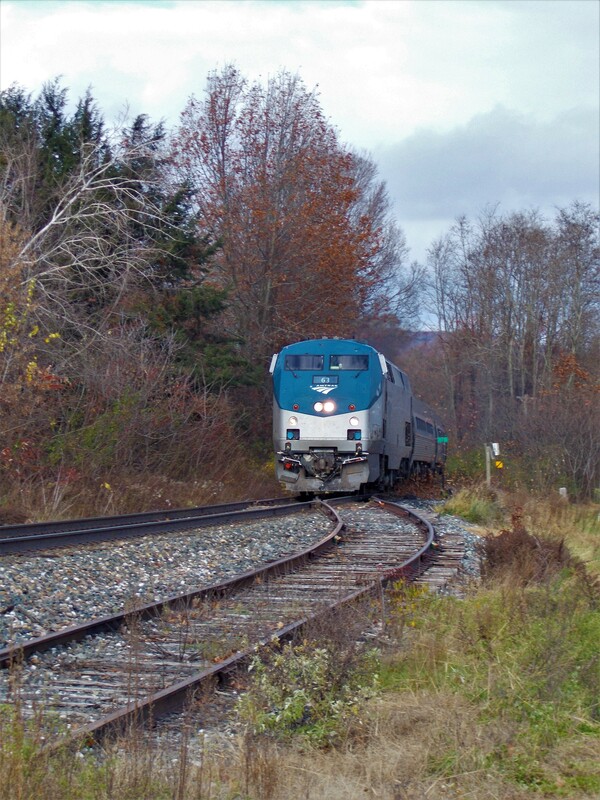 Amtrak's Vermonter is seen southbound kicking up the leaves in Westminster,Vermont. Photographed by Ron Wood, November 10, 2018. Added to the photo archive by Ron Wood, November 10, 2018.